The upcoming Mahindra TUV300 will come with a host of cosmetic changes, new features and possibly even some modifications to the SUV's body structure to make it safer. The facelifted TUV300 will launch sometime next year. The boot-mounted spare wheel gets a new x-shaped cover. Not so long ago Mahindra has revealed that it has already started working on the TUV300 facelift. 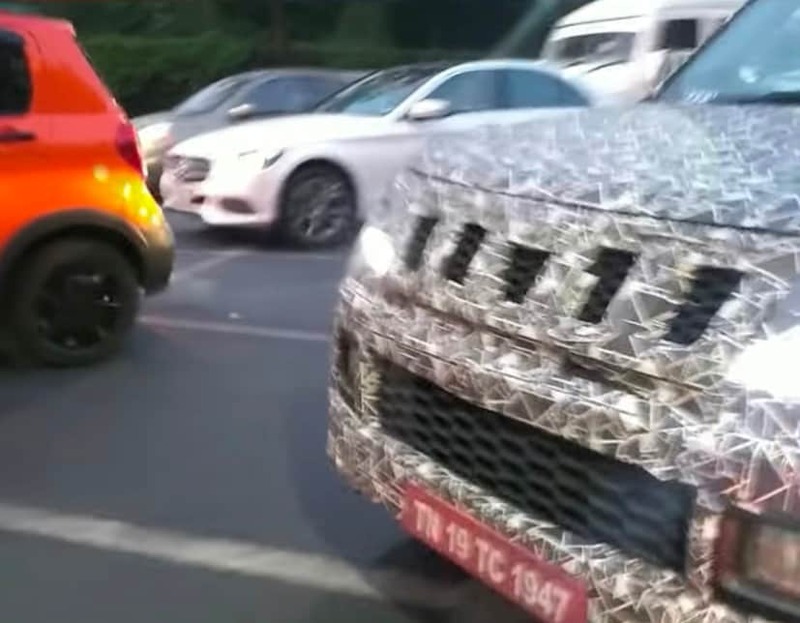 The carmaker had said that the updated version of the subcompact SUV will be launched in 2019, and recently, a prototype of the Mahindra TUV300 facelift was spotted testing in Chennai. The facelifted TUV300 was seen with some heavy camouflage, however, the SUV is expected to come with some considerable cosmetic updates, new features, and possibly even some mechanical updates, like a BS-VI compliant engine. The 2019 TUV300 will get a slightly tweaked face. 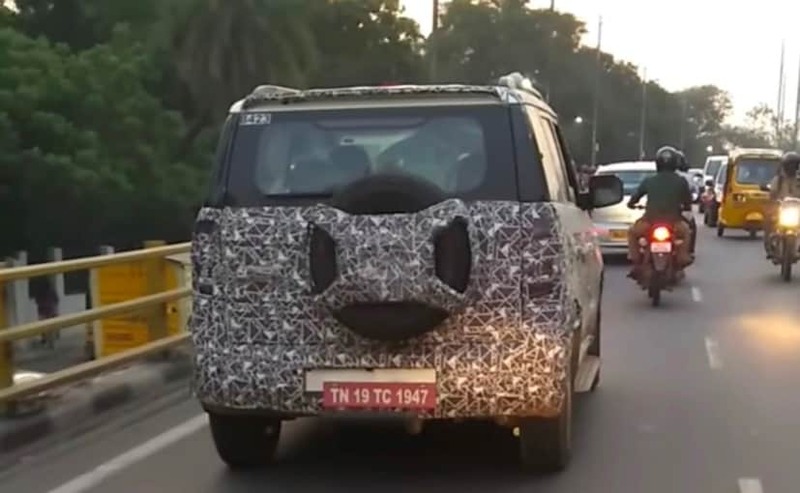 Despite the heavy disguise, we can see that the 2019 Mahindra TUV300 facelift will come with a bunch of exterior changes, starting with a new cover for the tailgate-mounted spare wheel, which now has this X-shaped design. The TUV300 facelift will also come with new alloy wheels, and finally, the SUV is also expected to get LED daytime running lamps this time around. The new spy images also give us a glimpse of the cabin, but the only visible change we were able to spot was what appears to be a new touchscreen infotainment system. The 2019 Mahindra TUV300 Facelift will get a new touchscreen unit. Back at the time of revealing the company's plan to introduce the TUV300 facelift, Veejay Ram Nakra Chief of Sales and Marketing (Automotive Division) Mahindra and Mahindra, had mentioned that that the carmaker is making some substantial investments not only on the styling part but also in terms of technology and engineering to make TUV300 a better product. This possibly means that Mahindra will be making modifications to the SUV's body structure, adhering to the new safety norms, which are set to become mandatory from October 2019. Under the hood, we expect the 2019 Mahindra TUV300 facelift to come with the existing 1.5-litre mHawk100 diesel engine. The 1,995 cc, three-cylinder oil burner is tuned to churn out about 100 bhp and develop 240 Nm of peak torque, while being mated to either a 5-speed manual or an AMT gearbox. Mahindra had mentioned that it's also investing in making its products compliant to BS-IV emission norms, so there is a possibility that the upcoming TUV300 facelift, could also be BS-VI ready.